I am really spoiling you this week! Not one, but four competitions for you to win super amazing books! I have TWO copies of Soul Beach to giveaway! I really loved Soul Beach, as you can see from my review here, and I can't wait for the second book in the series, Soul Fire to be published on 5th July. 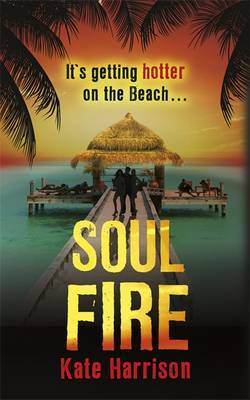 So you need to win Soul Beach first to be ready for the explosive new book! To celebrate the paperback publication of Soul Beach by Kate Harrison on the 3rd May, the wonderful publicists at Indigo, an imprint of Orion publishing, would love to giveaway two copies to my readers. This will be a UK only competition. The competition closes on the 10th May. Great giveaway, thanks. Its so wet and grey here in the north east that even the covers of these books appeal, so bright and colourful, it makes me want to read them.